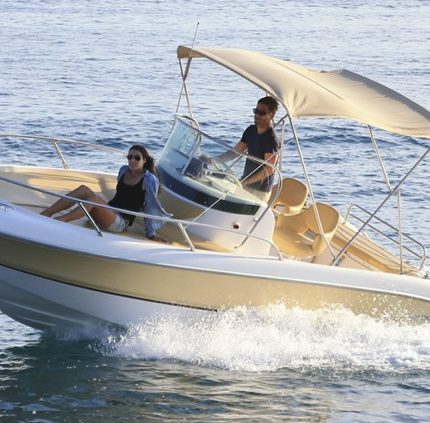 This fantastic boat has a wide distribution, with a large sundeck at the bow. 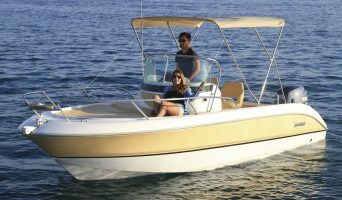 It has a Yamaha outboard motor of 115 HP, a good sound system with speakers located along the boat. 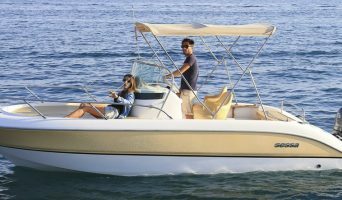 It is an ideal option to start in the nautical because of its easy maneuverability. Very economical. Este fantástico barco tiene una amplia distribución, con un gran solarium a proa. 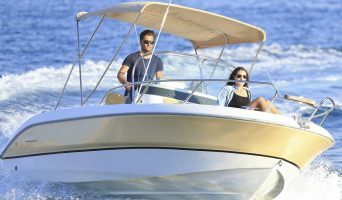 Cuenta con un motor Yamaha fuera borda de 115 HP, un buen sistema de sonido con altavoces situados a lo largo del barco. 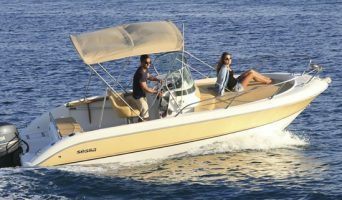 Es una opcion ideal para iniciarse en la nautica por su facil maniobravilidad. Muy economico.